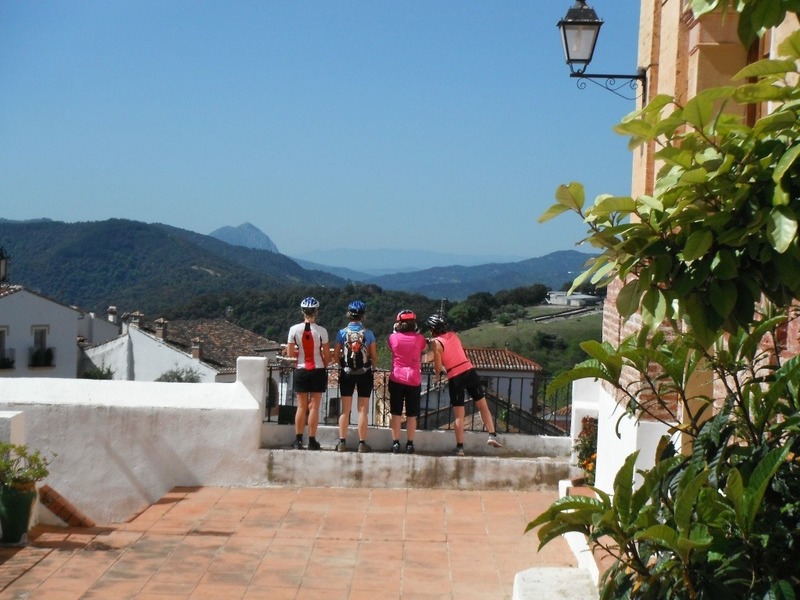 At Saddle Skedaddle we pride ourselves on offering a wide range of high quality cycling holidays to meet the requirements of every kind of rider. Anything from a weekend in Northumberland to a high altitude, adrenaline-fuelled, singletrack extravaganza in the Peruvian Andes, we offer hundreds of departures for scores of unique tours in dozens of destinations. And with five categories of tour; Cycling Adventures, Road Cycling, Mountain Biking, Leisure Cycling and, most recently, Family Cycling you might think that we have something to keep everyone happy. Whilst that is largely the case, we know that there is no such thing as an average Skedaddler and every season more and more of you are coming to us with specific requirements and requests to make your Skedaddle experience just a little more unique and a little more special. So, if after searching our website or scouring the Skedaddle Ride Guides you haven’t found exactly what you’re looking for, don’t dismay. Just pick up the phone and tell us what you have in mind – we’ll consider any reasonable request and we don’t often say no! Tailor-made tours come in various forms, the most straightforward of which might be as simple as you and a group of riding companions wanting to participate in one of our standard tours but on a different date than the scheduled departure. If our published schedule just doesn’t work for you and your friends, don’t be afraid to ask if we can schedule a special trip. We can, and often do, add dates to our schedules to meet specific requirements. 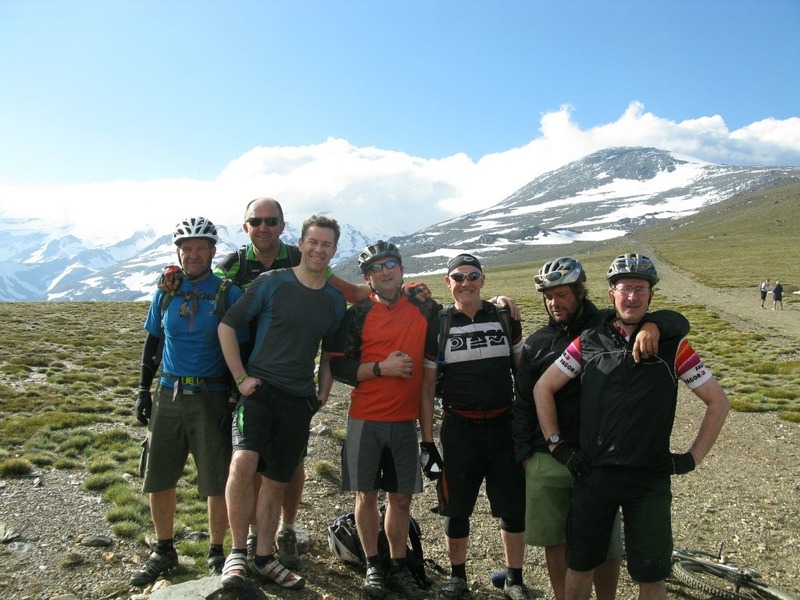 Fat Dads and Classy Lasses: Always on the look-out for an adventure these chaps from Derbyshire have done bespoke mountain biking trips with us in Southern Spain and Sardinia. Not to be outdone, their better-halves have forayed into Southern Spain, Sardinia and joined our St Malo to Nice trip too. You’ve read the tour dossier and you love everything about the tour but…you don’t want to ride so far every day, you want to ride further, you’d rather stay in four and five star hotels, you’d like all your meals included, you want non-riding partners to come along or you’d like to extend the itinerary by a couple of days to include rest days or take on a few more classic cols. Almost anything is possible so again, don’t be afraid to ask. Crafting classics for Russ & the Gang: We’ve created tailor made tours for Russ Cummings and his guys for the last four years. So far these guys have gone Cape to Cape in Spain (check them out on pages 40-45), ticked off the Tourmalet in France, taken on the Tour de France’s classic climbs and gone coastal in Corsica. 2016 and it’ll be back to Italy for a spot of Tuscan sunshine. 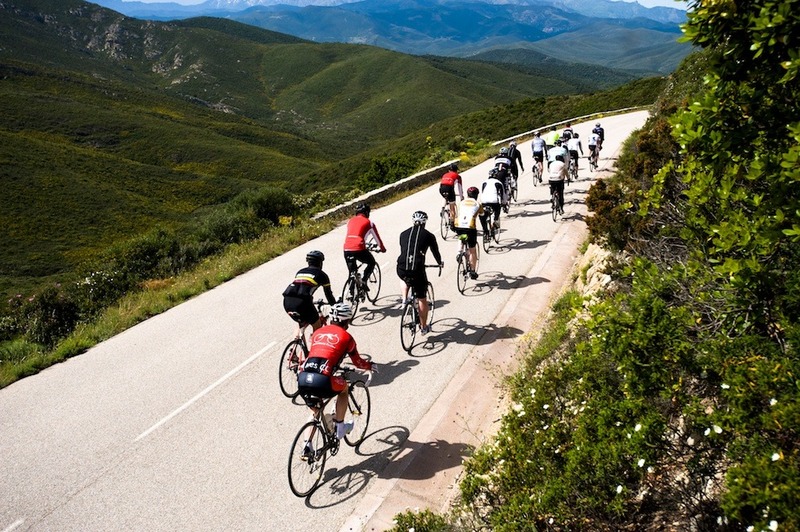 Looking after Langdon: Mention an iconic road climb or two to this legendary charity and they’ll soon be rounding-up the ‘usual suspects’ and heading to Europe for a long-weekend that’s packed with action. Over the last couple of years they’ve taken their velos to Ventoux and gone from Garda to the Stelvio. With group sizes at around 40 riders, and lots of money raised along the way for their charity (langdonuk.org), it’s no mean undertaking! Camping it up with the caravanners: Dressed in tweeds (yes it does chafe) for a 600 mile round-the-UK ride from Wantage to Scarborough to celebrate National Camping and Caravanning Week. Tim our guide sensibly went tweed free! Supporting the Swampeys: The ‘Swampeys’ from New South Wales, named after their local road, regularly ask us to organise their cycling trips. Forever searching for something a little bit different, they’ve joined us in Japan, pedalled with us in Provence and we’ve lost count of the times they’ve headed to Italy. For 2016, plans are already afoot for a spot of Spanish cycling in the sunshine. More and more of you are coming to us to ask for help turning your dream trips into a reality. We’ve worked with you to create dozens of special adventures in new countries and new routes in countries in which we already operate. Have you been assigned by your cycling club committee to come up with a more exciting idea than going back to Mallorca for the 15th year in a row? You might be a group of friends who’ve already ridden many of our standard tours and fancy trying something brand new. Are you a business looking for a team-building opportunity with a difference or a corporate event to treat your most important customers? 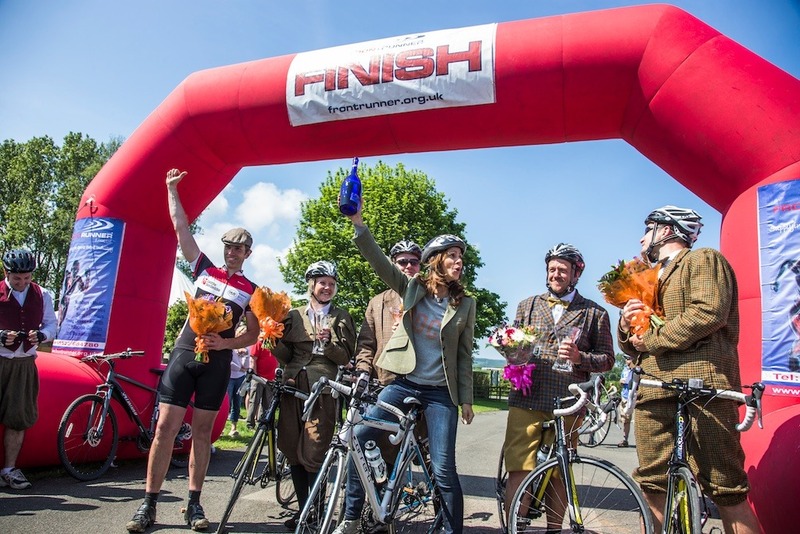 Perhaps you’re a charity looking for a fun and challenging way to raise funds for your cause? If so, give us a try, we have broad experience in each of these avenues and we’ll be delighted to share our expertise. In theory, no group is too small and we’ve arranged numerous bespoke tours for small groups including couples or solo riders. However, in our experience parties of 8 or more are ideal and can often be accommodated for prices similar to those of our standard tours. For more information about a tailor made trip, call, email, or click here to make your booking online.